Payment posting marks the end of the billing cycle, where the payment records of every patient are recorded in the billing management software. It also spawns other processes which need continuous attention. If you want a professional company to accurately and quickly do payment posting and after-posting on your behalf, O2I can help. EOB basically consists of patients' names, their account numbers, control numbers, service dates, procedure codes, billed/allowed/adjusted amounts, denials information, deductibles, co-insurances, co-payments if any, etc. Once you receive the EOB from the insurer our resources do not just key in the mentioned details into your billing system rather go through it carefully, and analyze it to identify payment and other related patterns like the percentage of insurance receivable, frequency of inflows, denials, amount outstanding percentage, etc., and then record it. Once we establish the payment receivable patterns, we immediately send out the necessary action chart to the respective billing departments to take necessary measures to increase the inflows. For instance, if there is a difference between the allowed amount and the payment amount, then balance payable amount will become the patient's responsibility. The EOB clearly states as to why the balance need to be paid by the patient, in cases like co-payment, deductibles or co-insurance or uncovered insurance. 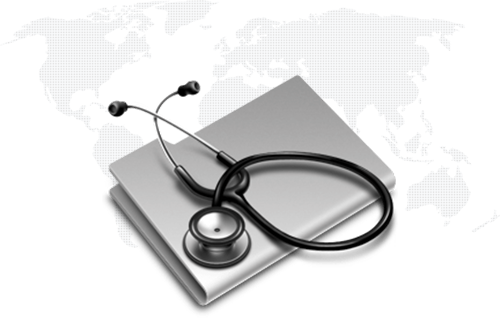 O2I immediately passes out this information to the billing department which helps them to collect the outstanding receivable from the patient easily and swiftly. Read an article on 6 effective ways to collect patient balances. We keep a real time track on the outstanding amount receivable and the cash inflow status so that the rate of cash inflows can be easily accessed and necessary actions can be taken to improve the cash flows. 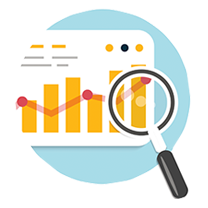 Accurate claim posting depicts your overall billing efficiency and infrastructure, and sorts out reasons for low inflows, if any. 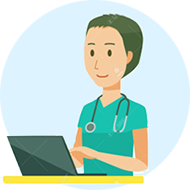 This would invariably help in improving the overall billing system right from converting the physician billing into a charge entry, to preparing a manual or electronic claims submission, and the final cash posting. Once we look at the rate and nature of denials we immediately utilize our denial management expertise to fix the issue and bring down the denials to the lowest.We ensure that all the steps of the medical billing process run smoothly which will help in speeding up the denial management process. We clearly understand that cash payment entry is not a mere claims data entry job, and involves domain expertise and work experience to ensure that accuracy of information is maintained, and most importantly, proper analysis is done by the resources involved. If you are running a healthcare center, or a claims processing service center, or just looking for an offshore medical billing service provider with a wide experience in all aspects of medical billing, O2I's healthcare posting solutions can save your day. 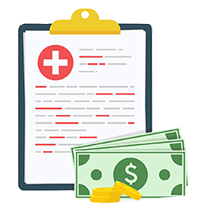 Especially, so if your primary concern is the capability of your outsourcing partner to handle hospital claims or medical billing claims faster, Outsource2india is the company of choice for effortless payment postings. Outsource2india is the company of choice for effortless payment postings. We help you focus on your core practices, while we manage all sorts of payment postings for you. Read our article on Advantages of ERAs and EFTs in payment posting for medical billing and how it can benefit your business.